The CDC found that suicide rates increased substantially from 1999 to 2010 in adults between the ages of 35 and 64. The rate of increase was 28.4%. There was more of an increase for women (31.5%) than for men (27.3%), though the total number of suicides in this age group is still much higher for men (27.3 per 100,000) than women (8.1 per 100,000). Within the 35-to-64 age range, the greatest increases in suicide rates for men were among those 50-54 (49.4%) and 55-59 (47.8%). For women, the greatest increase was for those aged 60-64 (59.7%). The highest suicide rate is still in men over age 85. The rate among the elderly isn’t growing, though, whereas the rate among the middle-aged is. What about Solomon’s description of middle-aged suicide—that “it implies the defeated acknowledgment that if things aren’t better by now, they won’t be getting better”? Every person is different, and no generalization fits every case. Nonetheless, in my experience as a psychologist, most people who are dealing with suicidal thoughts in middle age have had such thoughts for years. If they aren’t convinced that things will never get better, they at least dread that possibility. The thought of staggering through the rest of life bearing heavy emotional burdens often seems overwhelming. 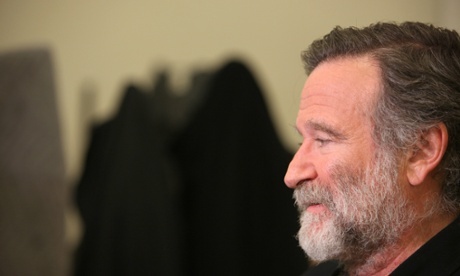 One person in her 50s who has struggled throughout life with depression and periodic suicidal impulses told me that, when she heard of Robin Williams’ suicide, her first thought was that he was lucky that he didn’t have to deal with any more pain. She hasn’t had much depression recently, and was surprised by her own reaction. Years of struggle had taken their toll, though, and the idea of suicide still has considerable influence on her. I sometimes tell clients that at first suicidal thoughts seem like a friend, offering the promise that, if things get bad enough, death is always an option. However, such thoughts don’t remain friendly. Over the course of years, they come to torment, frequently intruding and threatening to take over during moments of weakness. I wonder if something of the sort happened with Robin Williams. People with chronic suicidal thoughts tend not to tell others about them. It may be embarrassing to have such thoughts, or it may seem they are just a part of one’s life. I encourage anyone experiencing such thoughts to seek therapy–or, if you’re already in therapy, to talk to your therapist about the nature and extent of the thoughts you are having. When you aren’t making progress in straightening out the relationship you have with your own thoughts, it’s time to get some help. This entry was posted in Death, Psyche, Uncategorized and tagged aging, baby boomers, dying, middle age, midlife, psychotherapy, Robin Williams, suicide. Bookmark the permalink.